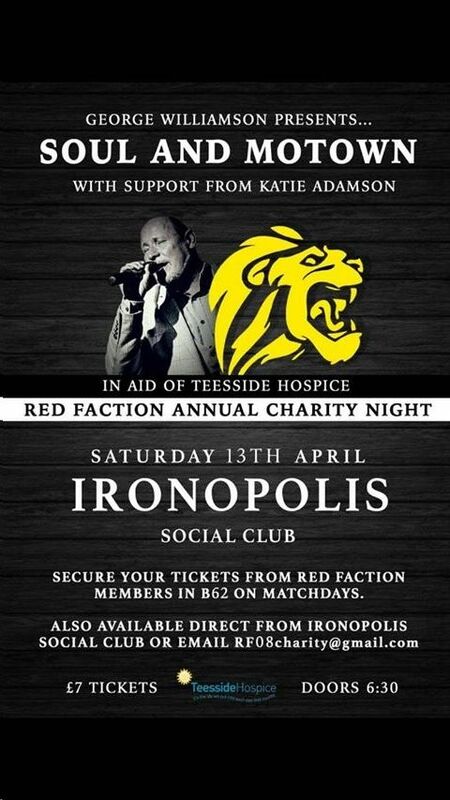 Red Faction are inviting everyone down to their annual charity at the Nops after the Hull City game on Saturday evening. 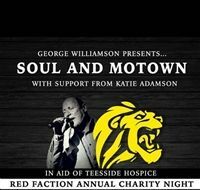 It is all in aid of Teesside Hospice Patient Comfort Appeal. Tickets are £7. All details below. Teesside Hospice is aiming to raise £49000 to buy 10 new beds for their inpatient unit where they care for their most seriously ill patients who are too poorly to be at home. The new beds will provide the best comfort possible for patients who are often coming to the end of their life. Red Faction are aiming this year to raise £4900 for the Hospice to secure one of these new beds. Red Faction hope that once again the heart-warming generosity of the MFC community will help to achieve this. There is a GoFundMe link attached to this post where you can contribute. There will be raffles and donation buckets at the game against Hull on Saturday and on the same evening we’ll be hosting our annual charity night at Ironopolis Club. Tickets for this are available for £7 through the family and friends option on PayPal to redfaction08payments@gmail.com or from the lads in B62 on a matchday..
Every single penny counts and is massively appreciated by the group and the Hospice. Thank you.